Given an encrypted file, the original unencrypted (cleartext) file, and knowledge of which AES encryption algorithm was used, is it possible to determine the key that was used to encrypt the data in a reasonable period of time? I am not looking for details on how AES works, just a simple answer. The simple answer is no, known plaintext attacks should not be possible on an AES-encrypted file, assuming that AES is applied correctly. 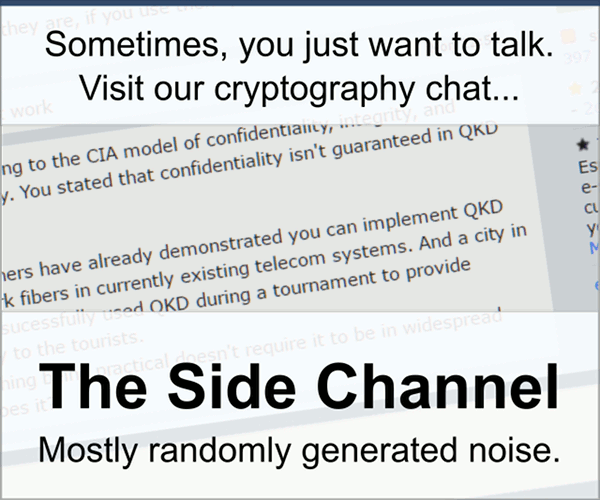 No information about the encrypted file or key should be leaked even if the adversary can guesss the contents of "the original unencrypted (cleartext) file". Beware that any mistake into a protocol specification or implementation may negate the security of AES - and this could include the security of the key used. Point in case: some "AES encrypted" USB devices stored the key next to the ciphertext, in case somebody forgot the password. No. That would amount to cracking AES, which is not feasible. Not the answer you're looking for? Browse other questions tagged encryption aes known-plaintext-attack or ask your own question. Why is AES resistant to known-plaintext attacks? Is it possible to obtain AES-128 key from a known ciphertext-plaintext pair? Is it possible to find the key for AES ECB if I have a list of plaintext and corresponding ciphertext? Can an AES-256 key be generated for a large number of cribs? Is it possible to obtain AES-128 key from a known ciphertext-plaintext-iv tuple used the encrypt the plaintext? Can multi-encrypted file be decrypted with one password only? Is it possible to recover an AES encrypted file that was decrypted with incorrect key/password?